The best tools and techniques for conducting keyword research. Keyword research is the process of zeroing in on relevant keywords for a website. Covered by Christine Churchill of KeyRelevance, the keyword research tool and techniques boot camp session at the SMX 2010 covered an exhaustive and very useful list of tools and techniques for performing keyword research. A successful SEO endeavor relies on identifying the right keyword phrases to be optimized for a website or any other element of internet marketing mix like paid search, blogs, social media, images, video etc. This means that an SEO professional should have a good understanding of the search terms that are being used by the target audience. If a website is optimized with the right keyword phrases, the chances of a high rank and conversion increase dramatically. Keyword research also provides the marketer with new keyword phrases, competitive insights, ie how is the competition optimizing its website. Keyword Research Techniques comprise brainstorming to come up with a broad list. This can be done via various sources like consumer interviews, focus groups, marketing collateral, competitive websites analysis, the existing website´s search box and analytics log files. Out of these techniques, I found using the existing website’s search box to be a useful tip because it shows the actual keywords and phrases that visitors are using. Christine Churchill showcased a very comprehensive list of tools. 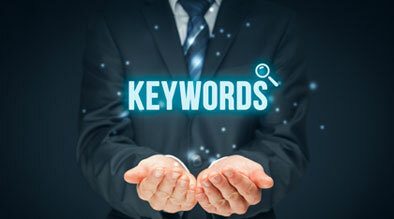 Keyword tools are very useful because they help save resources and provide valuable insights. There are a host of free and paid tools which apply to organic search, paid search and social media. The best strategy would be to not rely on just one tool, for there isn’t one best tool yet. A good strategy is to use a few of the tools – paid and free – depending on the goal of the campaign. Some key takeaways were to think phrase and not single key word. Also, long tail key words phrases are highly recommended because they convert better and are less competitive. Popularity indicates the potential for traffic and it is critical to keep testing various keywords. But finally, keyword research is a dynamic process and should never end. As the tools showed, people´s search behavior changes frequently and is influenced by extraneous factors be it social, economic, environment etc. In conclusion, the session encouraged the attendees to test the various keyword research tools to come up with the best keyword phrases for each page of a website. After generating a good list, it is important to evaluate the selected keywords in terms of relevancy, competition, popularity and traffic potential. Keep using the tools to generate the latest, hottest keyword phrases and use them to optimize the relevant internet marketing element- paid search, social, blog, images etc.